Stunning custom home enjoys a private 1.14 AC setting in prestigious Oldfields, off Hunt Club Rd. Enjoy the pleasure of new construction without the build-time. Open plan features high ceilings, coffered-beam detailing, centerpiece fireplace, lush trim, large window views, chef-quality kitchen designed w/top-line appliances/features, all open to entertaining & family living. 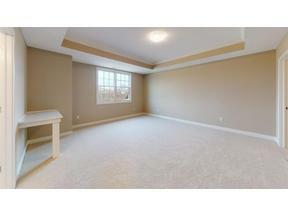 Main floor also includes Master suite w/FP, den, dining room & screened porch w/FP & TV-ready. Upper bedroom suites enjoy a large loft & separate laundry + bonus. Walk-out basement is “ decked-out” with WOW! Theater. Bar. Family Room w/FP. Patio grill center. Bedroom & Bath. Wooded privacy to back is perfect setting for a pool (offered with full price Offer).